Tire pressure constantly fluctuates, so you need to check it frequently. A pressure change is mostly as a result of ambient temperature, but sometimes it’s just due to a minor leak. Improperly inflated tires often compromise braking, cornering, and stability. Also, improperly inflated tires increases tear wear—before you know, you might soon be buying a new tire. But it doesn’t really need to get to this; always check your tire pressure. If you are an expereinced driver, you can easily tell that a tire does not have enough pressure even if you are driving. Most of the engine damages have been linked to failure to change oil and oil filters. Whether oil drop is as a result of leaking or burning oil, if not attended to, engine damage is almost certain. 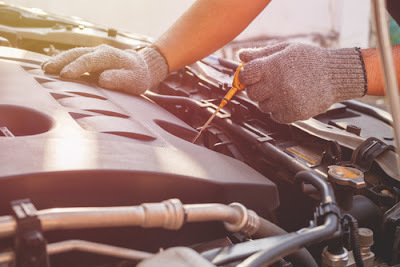 Given that checking oil is something that will not take more than five minutes, you have absolutely no excuse for not checking your car’s oil. It is highly advisable that you check your oil every time you add fuel, especially if your car is high mileage. You need to maintain a clean supply of oil, always. Most of the today’s cars will display a message when it is time to change the oil. If your car does not display this important message, consult your car’s manual on when you should change the oil. Driving in rough terrains can make your brake pads wear off much faster. Sometimes, however, you can’t avoid driving in this terrains. The point is, minimize the time you drive in rough terrains if you can. And when you hear a squeal, don’t ignore it. Take action—it’s an indication that you need to replace your brake pads. 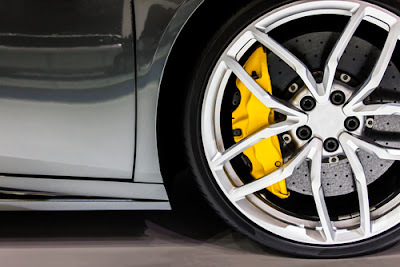 If you don’t replace your brake pads in time, the rotors will be damaged, and this means more money on repairs. But why wait until it gets this far? A routine brake job is inexpensive and won’t take much of your time. If you hardly drive during the night, you may not notice that you have faulty lights. Listen, you don’t have to drive at night to notice that your lights are not working; check your lights! It’s a simple process that you can easily do on your own. Turn on the headlights. Check park lights. Check license plate lights. Check indicators. Check brake lights. You are set if all working. But if you notice that there’s a lighting problem, it high time you do the repairs. This way you won’t have trouble with law enforcement officers over faulty lights. Besides, repairing time is easy and inexpensive. If your wiper blades are worn out, don’t hesitate to replace them. Wiper blades are made of rubber, so expect deterioration over time. They get worn-out due to ozone, sunlight, cold weather, and many other factors. A deteriorated wiper blade loses its ability to flip and flex. In worst case scenarios, they crack. Since you cannot avoid driving in misty or rainy conditions, always ensure that your wiper blades are in good condition. You don’t definitely anticipate a situation where you realize that your wiper blades are not working when it’s already raining. Imagine having to wait for the rain to reduce so that you can go on with your journey. It’s disappointing and shameful at the same time. At all times, wiper blades need to be in contact with the windshield. When you discover that they are no longer in contact, the chances are that the sharp edges are gone. You need to replace them as soon as possible lest you find yourself in a fix. So you are wondering whether people, in this age, can dare drive with windshield cracks. Well, some are bold enough. You are inviting trouble if you drive with a cracked windscreen. 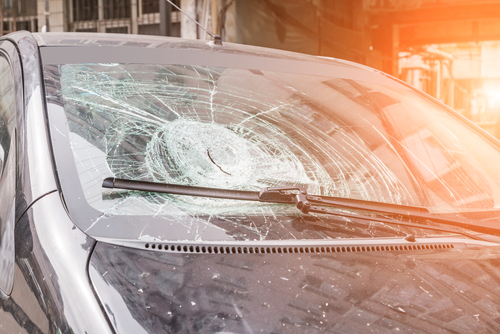 You may have to replace the whole windshield if you don’t act swiftly, and the worst part? You may get yourself arrested—driving with a cracked windshield is not allowed in several states. No matter how small the crack is, fix it. Even it’s just a stone chip. Fix it before it becomes a crack. You can have resins injected to take care of the chips and bruises. The good thing is that when this process is complete, you can’t see even a single bruise. Opt for it; it’s an efficient way of fixing bruises and chips before they become cracks. With time cracks will get bigger, so it’s better if you take action before it’s too late. Most drivers overdo it when it comes to using octane. The truth of the matter is, too much octane doesn’t better the mileage, and neither does it produce more power. You’ll just spend a lot of money for nothing. Vehicles that need high octane gas need quality fuel, nothing less. If you were already contemplating on using poor quality fuel on these vehicles, it is high time you change your mind. Poor quality fuel will decrease ignition timing, decreasing your fuel economy (dramatically in most cases). If the timing cannot be enough, there are high chances of engine detonation, and the result? A major engine carnage! Your car is an investment, and if you don’t take good care of it, it will depreciate. Even if you don’t plan to sell it anytime soon, you still need to ensure that it is pristine. With that being said, if you notice even a small problem, fix it before it’s late. This way, you’ll save a lot of money. If you want the best for your car, follow the above care servicing tips. A lot is in store for you, the car owner.